Thanks for using ERP Gold. Please read these Terms carefully. By using ERP Gold or signing up for an account, you’re agreeing to these Terms, which will result in a legal agreement between you and ERP Gold (“Agreement”). We’ll start with the basics, including a few definitions that should help you understand these Terms. ERP Gold (“ERP Gold,” “we,” or “us”) is an online marketing platform (the “Service”) offered through the URL us.erp.gold (we’ll refer to it as the “Website”) that allows you to, among other things, create, send, and manage certain marketing campaigns, including, without limitation, emails, advertisements, and mailings (each a “Campaign,” and collectively, “Campaigns”). ERP Gold is a Michigan limited liability company whose legal name is MiSoft Solutions LLC d/b/a ERP Gold. 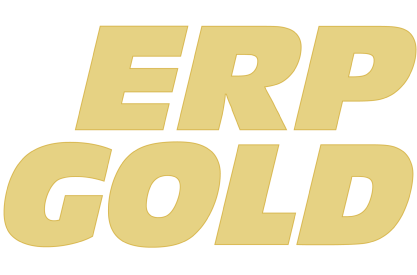 ERP Gold has employees, independent contractors, and representatives (“our Team”). As a customer of the Service or a representative of an entity that’s a customer of the Service, you’re a “Member” according to this Agreement (or “you”). ERP Gold may refuse service, close accounts of any users, and change eligibility requirements at any time. Misoft Solutions provide custom built ERP solutions, this agreement is restricted to Misoft Solutions off-the-shelf ERP solution known as ERP GOLD. We may offer certain Services as closed or open beta services (“Service” or “Services”) and trial accounts for the purpose of testing and evaluation. You agree that we have the sole authority and discretion to determine the period of time for testing and evaluation of these Services. We may modify the Terms upon notice to you at any time through a service announcement or by sending email to your primary email address. Your continued use of the Service after the effective date of any change to the Terms will be deemed to be your agreement to the modified Terms. We do not share your personal information or user data/stored data with any other third party for the sole purpose of money exchange or marketing. Your data is shared based on as-need basis in a very limited fashion if and where you choose to include services from other parties in integration with ERP Gold for example, PayPal or fedex or other plugins available through our services. ERP Gold may use the data for quality purpose and to offer added value services. You are responsible for maintaining confidentiality of your username, password and other sensitive information. You are responsible for all activities that occur in your user account and you agree to inform us immediately of any unauthorized use of your user account. We are not responsible for any loss or damage to you by any third party service provided to you via ERP Gold platform for your convenience. The Services are available under subscription plans of various durations. Payments for subscription plans of duration of less than a year can be made only by Credit Card. Your subscription will be automatically renewed at the end of each subscription period unless you downgrade your paid subscription plan. At the time of automatic renewal, the subscription fee will be charged to the Credit Card last used by you. We provide you the option of changing the details if you would like the payment for the renewal to be made through a different Credit Card. If you do not wish to renew the subscription, you must inform us at least seven days prior to the renewal date. From time to time, we may change the price of any Service or charge for use of Services that are currently available free of charge. Any increase in charges will not apply until the expiry of your then current billing cycle. You will not be charged for using any Service unless you have opted for a paid subscription plan. In addition to all other terms and conditions of this Agreement, you shall not: (i) transfer the Services or otherwise make it available to any third party; (ii) provide any service based on the Services without prior written permission; (iii) use the third party links to sites without agreeing to their website terms & conditions; (iv) post links to third party sites or use their logo, company name, etc. without their prior written permission; (v) publish any personal or confidential information belonging to any person or entity without obtaining consent from such person or entity; (vi) use the Services in any manner that could damage, disable, overburden, impair or harm any server, network, computer system, resource of Misoft Solutions; (vii) violate any applicable local, state, national or international law; and (viii) create a false identity to mislead any person as to the identity or origin of any communication. We reserve the right to terminate unpaid user accounts without notice that are inactive or not paid for a continuous period of 60 days. In the event of such termination, all data associated with such user account will be deleted. Closing Your Account: You or ERP Gold may terminate the Agreement at any time and for any reason by terminating your ERP Gold account or giving notice to the other party. We may suspend the Service to you at any time. We won’t refund or reimburse you any credit left in you account, including if your account is suspended or terminated for cause, like a breach or any violation of the Agreement. If your account is inactive for 24 or more months, we may terminate the account. Once your account is terminated, you acknowledge and agree that we may permanently delete your account and all the data associated with it, including your Campaigns. Usernames are unique and can only be used once. If your account has been terminated, the username will no longer be available for use on any future accounts and cannot be reclaimed. Account and Password: You’re responsible for keeping your account name and password confidential. You’re also responsible for any account that you have access to and any activity occurring in such account (other than activity that ERP Gold is directly responsible for that isn’t performed in accordance with your instructions), whether or not you authorized that activity. You’ll immediately notify us of any unauthorized access or use of your accounts. We’re not responsible for any losses due to stolen or hacked passwords that are caused by or result from your negligence. We don’t have access to your current password, and for security reasons, we may only provide you with instructions on how to reset your password. We have the right to update any of your contact information in your account for billing purposes. In addition, you represent and warrant that all information you provide to us when you establish an account, and when you access and use the Service, is and will remain complete and accurate. Account Disputes: We don’t know the inner workings of your organization or the nature of your personal relationships. You won’t request access to or information about an account that’s not yours, and you’ll resolve any account-related disputes directly with the other party. We decide who owns an account based on the content in that account, and if multiple people or entities are identified in the content, then we’ll rely on the contact and profile information listed for that account. In cases where differing contact and profile information is present, we’ll require you to resolve the matter through proper channels outside of ERP Gold. Billing Changes: We may change our fees at any time by posting a new pricing structure to our Website and/or sending you a notification by email. Quoted fees don’t include sales or other transaction-based taxes of any kind. Proprietary Rights Owned by Us: You will respect our proprietary rights in the Website and the software used to provide the Service (proprietary rights include, but aren’t limited to, patents, trademarks, service marks, trade secrets, copyrights, and other intellectual property). Proprietary Rights Owned by You: You will respect our proprietary rights in the Website and the software used to provide the Service (proprietary rights include, but aren’t limited to, patents, trademarks, service marks, trade secrets, copyrights, and other intellectual property). You represent and warrant that you either own or have permission to use all of the material, content, data, and information (including your personal information and the personal information of others) you submit to ERP Gold in the course of using the Service (“Content”). You retain ownership of the Content that you upload to the Service. Right to Review Campaigns: We may view, copy, and internally distribute Content from your Campaigns and account to create algorithms and programs (“Tools”) that help us spot problem accounts and improve the Service. We use these Tools to find Members who violate these Terms or laws and to study data internally to make the Service smarter and create better experiences for Members and their contacts. Bandwidth Abuse/Throttling: You may only use our bandwidth for your ERP Gold Campaigns. We provide image and data hosting only for your ERP Gold Campaigns, so you may not host images on our servers for anything else (like a website). We may throttle your sending or connection through our API at our discretion. Compliance with Laws: You represent and warrant that your use of the Service will comply with all applicable laws and regulations. You’re responsible for determining whether the Service is suitable for you to use in light of your obligations under any regulations like HIPAA, GLB, EU data privacy laws (including the General Data Protection Regulation) (collectively, “EU Data Privacy Laws”), United States export control laws and regulations and economic sanctions laws and regulations (“U.S. Export Control Laws and Regulations”), or other applicable laws. If you’re subject to regulations (like HIPAA) and you use the Service, then we won’t be liable if the Service doesn’t meet those requirements. You may not use the Service for any unlawful or discriminatory activities, including acts prohibited by the Federal Trade Commission Act, Fair Credit Reporting Act, Equal Credit Opportunity Act, Children’s Online Privacy Protection Act, or other laws that apply to commerce. If you collect any personal information pertaining to a minor and store such information within your ERP Gold account, you represent and warrant that you have obtained valid consent from the minor according to the applicable laws of the jurisdiction in which the minor lives, or that you have otherwise obtained the required parental or guardian consent according to the applicable laws of the jurisdiction in which the minor lives. You will clearly post, maintain, and abide by a publicly accessible privacy notice on the digital properties from which the underlying data is collected that satisfies the requirements of applicable data protection laws. You will get and maintain all necessary permissions and valid consents required to lawfully transfer data to ERP Gold and to enable such data to be lawfully collected, processed, and shared by ERP Gold for the purposes of providing the Service or as otherwise directed by you. You agree to indemnify and hold us harmless from any losses, including all legal fees and expenses that result from your breach of this Section 20. YOU AGREE THAT MISOFT SOLUTIONS SHALL, IN NO EVENT, BE LIABLE FOR ANY CONSEQUENTIAL, INCIDENTAL, INDIRECT, SPECIAL, PUNITIVE, OR OTHER LOSS OR DAMAGE WHATSOEVER OR FOR LOSS OF BUSINESS PROFITS, BUSINESS INTERRUPTION, COMPUTER FAILURE, LOSS OF BUSINESS INFORMATION, OR OTHER LOSS ARISING OUT OF OR CAUSED BY YOUR USE OF OR INABILITY TO USE THE SERVICE, EVEN IF MISOFT SOLUTIONS HAS BEEN ADVISED OF THE POSSIBILITY OF SUCH DAMAGE. IN NO EVENT SHALL MISOFT SOLUTIONS’S ENTIRE LIABILITY TO YOU IN RESPECT OF ANY SERVICE, WHETHER DIRECT OR INDIRECT, EXCEED THE FEES PAID BY YOU TOWARDS SUCH SERVICE. You agree to indemnify and hold harmless Misoft Solutions, its officers, directors, employees, suppliers, and affiliates, from and against any losses, damages, fines and expenses (including attorney’s fees and costs) arising out of or relating to any claims that you have used the Services in violation of another party’s rights, in violation of any law, in violations of any provisions of the Terms, or any other claim related to your use of the Services, except where such use is authorized by Misoft Solutions. Any controversy or claim arising out of or relating to the Terms shall be settled by binding arbitration in accordance with the commercial arbitration rules of the American Arbitration Association. Any such controversy or claim shall be arbitrated on an individual basis, and shall not be consolidated in any arbitration with any claim or controversy of any other party. The decision of the arbitrator shall be final and unappealable. The arbitration shall be conducted in Michigan and judgment on the arbitration award may be entered into any court having jurisdiction thereof. Notwithstanding anything to the contrary, Misoft Solutions may at any time seek injunctions or other forms of equitable relief from any court of competent jurisdiction.